Money Moves — Should I Take This Job? Money Moves is an ongoing series on how to build a business in today’s creative landscape. Topics range from hands-on advice to broader thoughts on how to grow your empire as a freelancer or company founder/employee. If you want to see specific topics discussed, you can email us at editorial@maekan.com or Slack us directly in our members-only chat. Scott Masek is MAEKAN’s COO. Prior to joining MAEKAN, he spent over 5 years working in finance and tech across a range of positions and fields, most notably in investment banking and e-commerce. Creatives and freelancers constantly battle with the ebb and flow of project work. Some months are hectic, with a constant demand for their talent, whilst others are completely dry, forcing creatives to stretch their hard-earned dollars. This could partially be due to seasonality, but it’s likely also due to a lack of clarity on which projects to undertake and how to bill them appropriately. 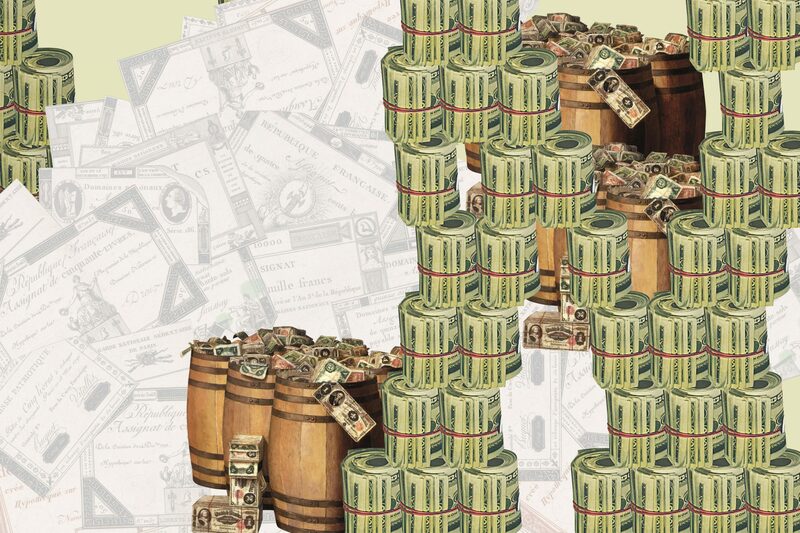 This first Money Moves article looks at our company’s methodologies for project classification, and how being proficient at the process can help you manage your time better and improve your bottom line. Like any good (recovering) business school student, I enjoy visualising projects via a simple matrix (see below). 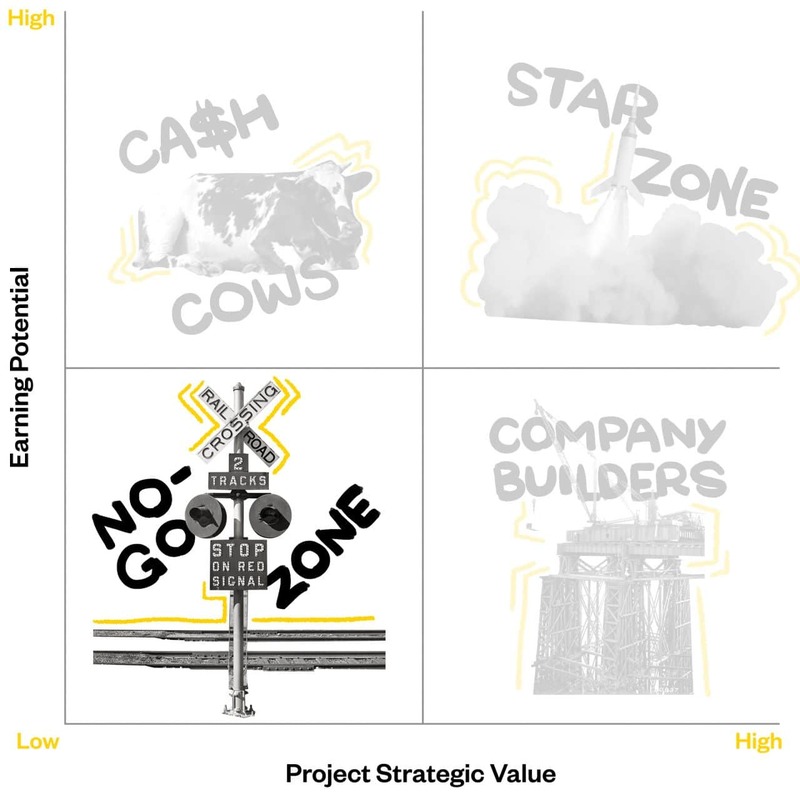 There are two main axes: project strategic value and earning potential. Both axes scale from low to medium to high. 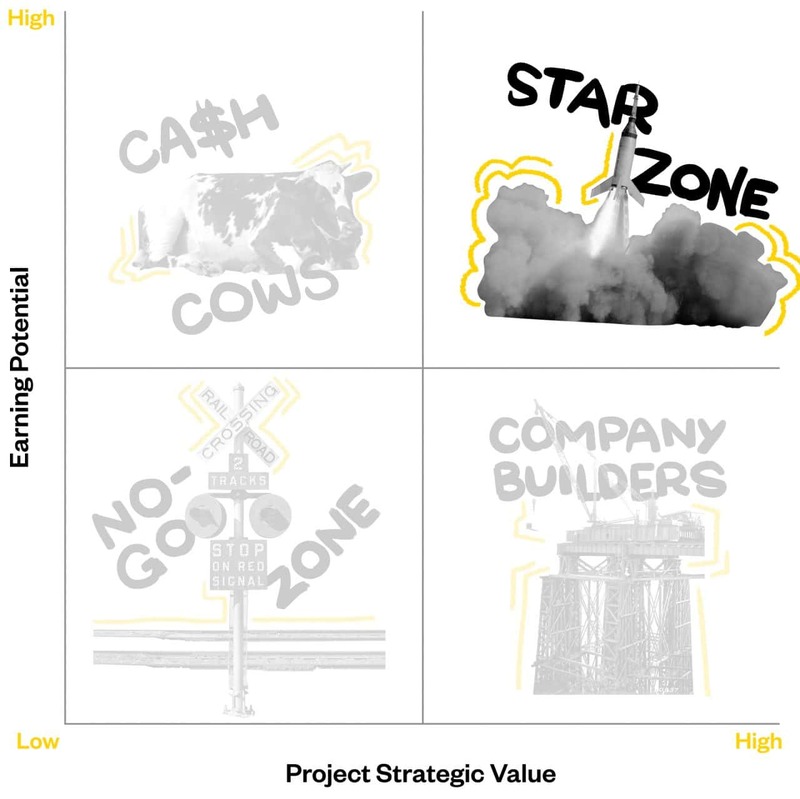 The four quadrants created by the intersection of these two axes form the basis for your decision making when assessing opportunities. Focusing on the budget item and disregarding the other information, it’s clear Company X offers significantly more money than company Y. If you are struggling financially, taking this deal will let you rest easy for many months (and possibly even years if the relationship is good). Company Y offers more modest returns but an opportunity to put your brand on the map if done correctly. Which one should you choose? The honest answer is that it all depends on individual situations and people. Sound financials are crucial to keeping a business afloat, but working with a large company like Company X can be a “one-and-done” deal, especially if your execution is not up to par. Company Y, while smaller, provides a mutual opportunity for growth and long-term repeat business, through which you can build your personal brand. However, working with Company Y could use up time and resources that you will want to allocate elsewhere in the coming weeks or months. We have done work with both kinds of clients before. If you have the luxury of time and funds, I recommend sticking to firms like Company Y that will open up doors to better projects with Company X types. Company X’s of the world seek out Company Y’s of the world for new and innovative ideas. In addition, great people move around: an employee at Company Y could move to a Company X and be the bridge to make a project there much more meaningful and impactful. Remember, instead of sticking to one rule at all times, evaluate the detailed aspects of potential projects and strike a balance in how you approach all opportunities. In general, if the Company you’re considering working with, whether an X type or Y type, is able but unwilling to pay a price appropriate for your work and expertise, then it’s best to stay clear. Most good clients will pay more for professionalism, timeliness, and knowledge. They recognize their own blind spots and look to outsource some tasks as a means to get a leg up on competition. Nailing these projects down can grow your firm exponentially, so remember to pour your time and know-how into them. With these points in mind, let’s dissect each quadrant. ● For established creatives and freelancers, these projects should be avoided at all costs. Working on these are typically a drain on your time and creativity, often with stingy and overzealous clients looking to squeeze value out of you. In general, you would instinctively know which projects these are, but sometimes, especially when cash flow is low, you may be tempted to take these up. Don’t. It’s mostly an excuse for your lack of proper business development pipeline which is now costing you and forcing you into a bad position. If a good deal comes in after having accepted to do a project like this, you’ll regret the decision as you will need to fulfil existing obligations. If you find yourself teetering more towards these kinds of projects (assuming you had worked on good projects in the past), this signals that you need to take a hard look at your deal pipeline and sourcing strategies. ● There is, however, ONE CAVEAT to working in this quadrant: if you are truly starting out from zero, you may encounter this kind of client/work more consistently. We encourage everyone to start somewhere, and having something in the “No-Go Zone” may be better than nothing. These projects will be arduous for the most part, with pushy clients having unrealistic expectations, but you’ll cut your teeth and start leaving your mark through your portfolio. As a creative business ourselves, many of us started from this point. Just make sure this phase is temporary, and always actively seek out better opportunities. ● These projects are interesting because they may not fulfill a financial need but help build your skill set or brand. Like pro-bono cases to top tier law firms, Company Builders have an intangible value to you and your business. This could be anything from writing a story on a unique topic or taking on logo design for an up-and-coming startup. In general, these passion projects should be well defined in scope and time to ensure you still spend the bulk of your days on more financially productive tasks. ● Company builders often allow you to take the reins on a project’s creative direction, especially to execute your own vision. This becomes very valuable if the rest of your pipeline is filled with financially viable but creatively straining cash cows. ● Cash cows blend low to medium interest with high returns. For example, assume MAEKAN is approached by a Fast Moving Consumer Goods (FMCG) company to redesign their shampoo branding as part of an agency contract. This would not be of immediate interest to us or our brand. However, if the payout is significant (and more-so than any other project type at the time), then this becomes a good project to keep yourself or your staff building your portfolio and improving your bottom line. 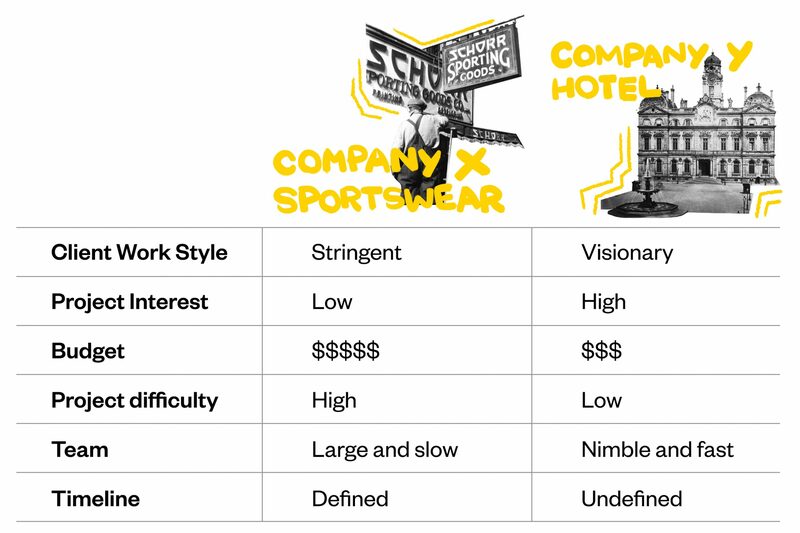 This example is similar to the Company X types we highlighted earlier. ● Always try to rotate out of these projects in the medium term. The ultimate goal is to be consistently in the Star Zone to grow your business in multiple ways. Cash Cows can and should open doors to the Star Zone as they are great partners with which to build your brand. ● Ah, the promised land! Like most people, you’d love to spend all of your time here. Great clients, great projects and great money. 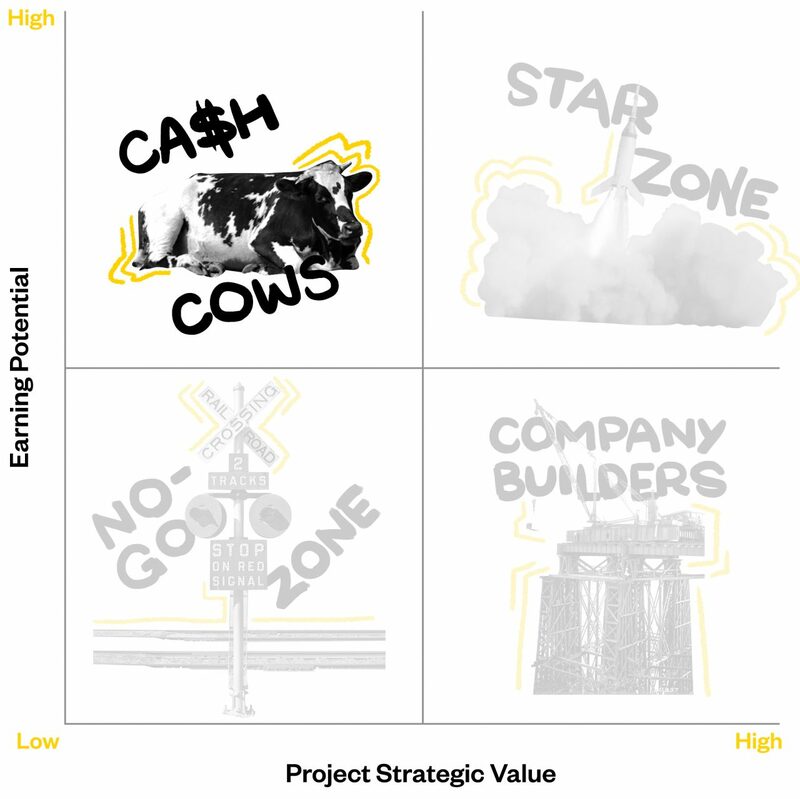 The hard truth is that most clients and projects don’t fit into this box, but your business strategy and portfolio development should be done with this type of work in mind. ● Star clients mix great personal and financial value together, allowing you to be most at peace and focused on your work. You’ll often find yourself more motivated, creatively stimulated, and sharp when working with this kind of partner. ● It’s important to take a long term view on things, and many Star Zone players often come from repeat business over years. Some Company Builders that you worked with in the past can transform, in part due to your good work, into star clients. It pays to play the long game, especially when it comes to your business’ stability and prosperity. Realistically, picking clients is often something freelancers and creative companies don’t have the luxury of doing. It’s still important to categorize your client quickly, regardless of deal-flow, to help you strategize for further down the road when your business picks up more steam. If your business is small, you’ll know that your resources are constantly pushed to the limit. Use this as a strength by optimizing for desirable outcomes over long periods of time. Lastly, as demand for your work increases, so should your prices in order to reflect your quality of work and the value of your expertise, but that’s for a future article.